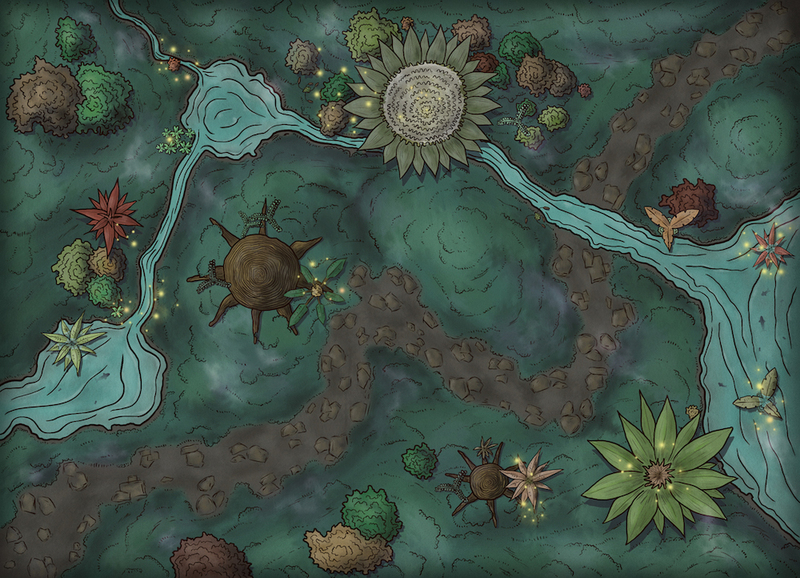 These days I have been working on this forest encounter map. It looks pretty and all but it is a real accomplishment for me. Brought possible after months of practicing and my patron’s generous support in my art. I tried new color schemes and techniques, you will see in this map some stuff I usually didn’t do before, mostly because of not really knowing how to. I added mist/fog. Some plants are submerged and transparency of the part under water looks great. I also added some illumination with fireflies! This encounter map is great for a Feywild adventure, and enchanted forest, and really any forested area with a touch of magic. For the Patreon release, I included versions with and without grids. Black and white and a special one with no fireflies. 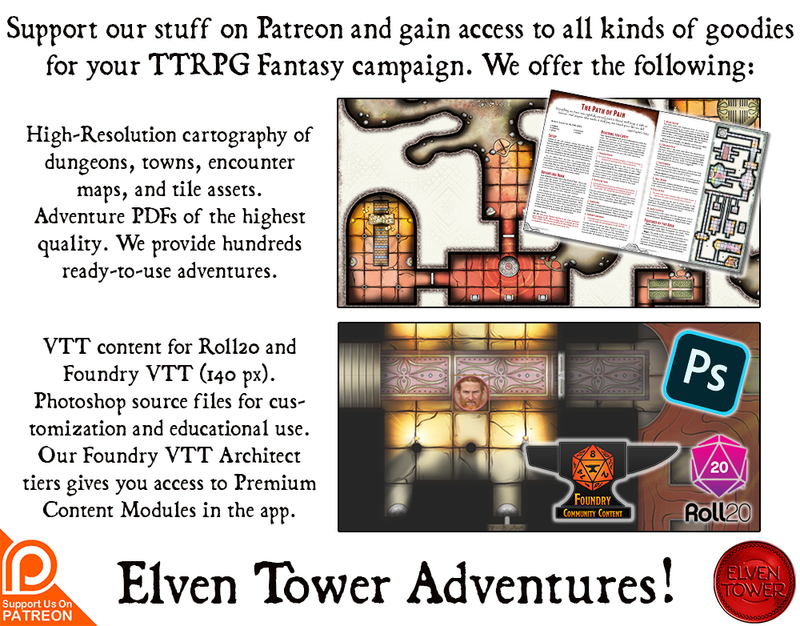 The maps’ dimensions are also compatible with Roll20. Like with other “generic” encounter maps, this map pack includes no background lore. Let me know if you like this illustration’s style and if you’d like to see more Feywild- inspired locations. Here’s a quick animation of how I created this illustration in Photoshop with my Wacom tablet.